Venus trine Pluto in the natal chart adds great depth and intensity to your feelings and anything you love or are passionate about. This is a generally fortunate aspect but does have its dark side. The main influence will be on your love life but also on other close relationships. It is easy for you to fall deeply in love and you take relationships very seriously. Once in a new relationship, your depth of feeling, caring and passion, makes you feel deeply entwined. It is possible that your level of devotion and interest in another person is too much for them, and any rejection would be very painful for you. You must therefore seek relationships with people who are also deep or serious types. Another effect of your depth of feeling is that you probe and question the relationships dynamics and even love itself. This leads to a psychological evolution or transformation which may continue your whole life. This inner growth you experience may in fact bring distance between you and your partner. Other effects on relationships are that you may marry someone of power, influence or celebrity, and you may become involved in complicated relationships or affairs. Though such things may seem negative, you actually need such intensity of experience and it is vital to your evolution. Life in general may involve some controversies or scandals involving things you are passionate about. But again, such things turn out to be helpful to you in the long run. You have such deep needs. You may be drawn to the arts or other creative pursuits such a music and poetry, and would gain great joy and satisfaction from decorating or beautifying yourself or your surroundings. Money is important to you and you may have a strong ambition and determination to be rich. If so, it would be for the best of reasons, so you can improve the lives of your loved ones. Transiting Venus trine Pluto adds intensity and passion to relationships and those things which bring you joy and satisfaction. You should feel more deeply about loved ones in general but especially your partner. This is a good time for intimate relations due to your increased desire for love and affection. You will enjoy a mysterious type of sexual attractiveness with a strong karmic pull. This increases your odds of finding new romance at this time. A new relationship now would be very intense indeed, and may involve an affair or some other complication. It is of course, very likely that any new relationship could be long-term, though the level of intensity would likely subside over time. Obsessions and fascinations are possible now and not only in relationships. Your finances should be in good enough order to allow for some luxury items. You may be drawn to a particular style of fashion, cosmetics, jewelry or tattoo. This is a good time for decorating your home or office. If you are the artistic or creative type then this is a great time to be alone and getting busy. Money may be an issue now in which case you may feel compelled to research wealth creation schemes or to choose a good investment. You can turn a big profit now and your motivation is pure, to bring joy and comfort to yourself and most importantly your loved ones. Lleyton Hewitt 0°01′, Honore de Balzac 0°02′, Vanessa Redgrave 0°10′, William Henry Ireland 0°15′, Jimi Hendrix 0°25′, Dan Rather 0°30′, Evel Knievel 0°33′, Andre Gide 0°38′, Fela Kuti 0°42′, Robert Louis Stevenson 0°44′, Maurice Chevalier 0°47′, Pat Nixon 0°48′, William Gerhardie 0°52′, Denise Levertov 0°54′, Betty Ford 0°56′, Ricky Martin 0°57′, Jimmy Page 0°58′, Queen Elizabeth II 1°15′, John Frawley 1°21′, Boy George 1°28′, Donna Summer 1°28′, Mia Farrow 1°29′. 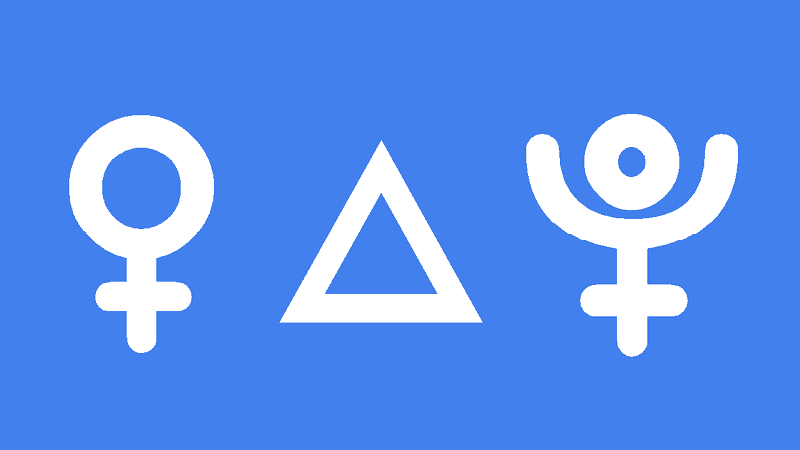 with natal pluto (1st house) trine to Venus (5th house) conjunct Jupiter; it is same – All or Nothing type of relationships. In all honesty, it is still dark, brooding, consuming and painful (trine is not as rosy or better than square or conjunct), it is not easy and nothing pretty. the only perhaps difference to stressful aspect between two and venus trine pluto is that the men in my life generally returned the affection (though not same level) and it was painful emotionally due to depth of attachment, when it ended, but not abusive in anyway. Till this day, I can talk to any of them and they will respond and be genuinely happy to support. My pluto in 8th is trining venus in 4th with an orb of -6. Whats that about? and that seems like pretty wide orb so i take it the influence is not felt so strong? When it does come within orb it will be similar to this transit. You may start to feel the effects earlier but I generally wait for under one degree orb. Fela Kuti had this with a 0’42 orb, and in terms of complicated relationships he had 26 wives…. Thanks Malo, you must have a massive file of charts. Do you have a time of birth again? By the way, thank you so much for your aspect & transit interpretations. They’re some of the most accurate that i’ve found in extensive searching! Definitely Mars Neptune the spiritual warrior but also fixed star Algorab rising makes for an agitator. Just out of interest Jamie, how similar may the affects be the other way round, as in Pluto transit trine Venus? I currently have this while also enduring Pluto square Libra moon ( Venus 7th house Taurus inconjunct Moon 12th house Libra natal ) in my Venus ruled chart so a powerful stress point in my blue print where relationships and fairness matter alot and emotional abuse/susceptability key “faults” in my make up, so I figure making good use of it may help find the balance point. Very similar but the Pluto transit will have a more intense effect on your love life than the Venus transit which softens your intensity. I will write all these transits up within a few years. Sounds like you are in for a lot of give and take to work out just the right power sharing arrangement for each relationship. Jamie can you help? The last few years have been tough but I seem to be coming out the other side. The next two weeks seem to be affecting my natal chart quite a bit hopefully not negatively. 07/10/1964 3 pm GMT. No wonder you have been struggling Julie, with Pluto square Sun transit from December 2015 to October 2016. Things turn around very quickly with November 2016 being your best month in ages. Thanks Jamie, is this because I will have pluto conjunct venus transit training my natal pluto whilst jupiter and the moon conjunct my natal sun square that aspect? Many thanks for your time.???? I feel saturn heavily breathing down my neck, im trying to stay strong.. But sometimes: boy o boy, i cant wait for Jupiter to visit my moon and ascendant in october.. I know the feeling Lili. It may depend how strong Saturn is in your chart, like aspects and whether or not it is retrograde. I have a question about transiting Pluto trine natal Venus which is a much longer transit, of course. After Pluto makes its final pass over natal Venus and moves beyond the 1º orb, can you still experience the effects of that transit, say 4 months later? Or, is there something else at play? In this case, I am referring to the “fated quality” of meeting someone new. Actually, this question can pertain to all of the long slow transits of the outer planets when they make 3 or 4 passes over the personal planets in the natal chart; and then finally move beyond the 1º – 2º orb. Is it akin to when Mercury retrograde is done and Mercury is finally moving direct, and I will sometimes run into an old acquaintance 2 – 3 weeks after Mercury is SD. Thank you for sharing your knowledge. You are a gifted astrologer and you write in such a clear concise manner. Hello Jaime, I will have Transit Venus Trine my Natal Venus (exact) at the same time Transit Venus is Trine Pluto to form a Grand Earth Trine on my Birthday, today. Do you know how this should play out in my daily life? I have been experiencing more intensity, lately. Thank you! We are planning to get married on this day on this transit..
Is that a good idea or should we postpone it? Sounds like a lovely transit I think ! Thanks Vicki, it was a really nice day!! So far so good too! This Venus trine pluto transit sounds wonderful 🙂 ! Right now Venus transit makes a conjunction with my natal jupiter (and my natal Juno is just one degree from natal Jupiter) and Pluto transit is making an opposition for the thrid time to my natal Venus, plus Neptune transit is making an opposition to my Jupiter (and Juno) so I guess this can be a quite important transit for me, but would it be more related to relationships or finances? Would the opposition of Neptune be stronger than the trine (from Pluto to Venus and natal Jupiter) and conjunction ( venus to natal Jupiter and Juno)? Thanks!